Entrance into Yosemite National Park is being limited due to the recent government shutdown, according to park officials. In a press release Wednesday, officials stated entrance into the park along the Highway 41 corridor from the South Entrance would be limited due to the continuing issues with people leaving behind trash and resource damage. Highway 41 is the fast way for people who live south of Yosemite to enter the park. According to park officials, people will still be able to enter, however, they will have to use the Highway 140 entrance via El Portal Road. Park Rangers will staff the South Entrance from 9:00 a.m. to 6:00 p.m. to limit access to those with a reservation for lodging or camping inside of Yosemite. -Goat Meadow Snow Play Area, located just outside the South Entrance of Yosemite National Park. 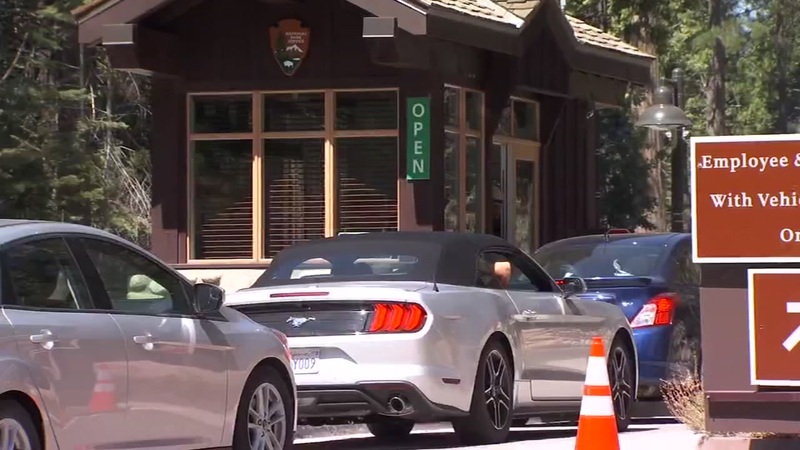 Park officials say that restroom facilities are very limited throughout the park and are urging visitors to stop before they enter Yosemite. Visitors are also encouraged to pack in and pack out all trash. Officials are also warning that many areas within the park could close at any time for the health and safety of visitors.